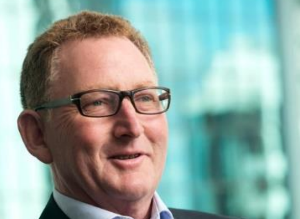 Kiwi economists believe Reserve Bank governor Adrian Orr will sound a cautious note on the economy next week, with little chance of an OCR rate increase, and an outside chance of a cut. Nearly all of the economists who responded to TMM Online's August OCR Preview Survey said they were "99% to 100% certain" there would be no move in the central bank rate, amid lacklustre economic growth. Last time around, RBNZ governor Orr kept the market guessing by refusing to rule out a rate hike or rate cut. A couple of economists say there is an outside chance of a surprise cut next week. Westpac's Dominick Stephens expects a "neutral to slightly dovish" statement. He said the OCR would likely be unchanged, but could move "a smidgen lower". Most expect the central bank to retain a neutral outlook. Robin Clements, economist at UBS, said the central bank was likely to "use up and down language", keeping the door open to a future cut. Brad Olsen, economist at Infometrics, said concerns over international trade wars would see the bank strike a note of caution: "We expect the Reserve Bank will reiterate and potentially strengthen its language on international trade concerns and the potential for a downturn in the NZ economy, amid rising global concerns around protectionist trade policy." Most economists believe the OCR has troughed in this cycle. Yet independent commentator Michael Reddell disagrees. He says if there is a move in the OCR rate in the next 12 months, it is "certain to be a cut". Reddell expects RBNZ to note inflationary pressures next week, but believes RBNZ will also highlight a loss in business confidence and "signs that economic momentum domestically has been lost", with unemployment rising slightly. ANZ's Sharon Zollner warned against placing too much emphasis on inflationary pressures: "The RBNZ faces a trade-off, which makes the outlook for monetary policy more complicated. In our view, focusing too much on headline CPI inflation or, alternatively, simply tallying up economic developments runs the risk of missing important nuances about the policy response. Policy deliberations for the August Statement will – and should – be focused on the policy tension that the RBNZ faces and how it sees the balance of risks." Kiwibank's Jeremy Couchman said strong core inflation would likely see the Reserve Bank lift its near term inflation outlook. He said he expected CPI inflation to return to the bank's 2 percent midpoint by the end of the year: "This is much earlier than the RBNZ’s May set of forecasts. Further out, concerns around weaker GDP growth is likely to limit the upside to the Bank’s CPI forecasts," he added.